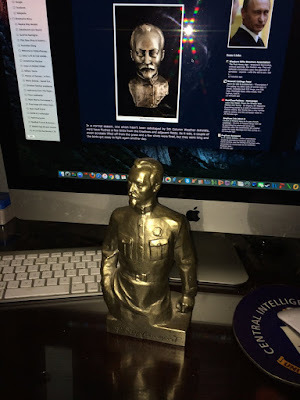 I will end this Labor Day by displaying my own personal bust of Felix Edmundovich Dzerzhinsk with LSP's blog in the background (displaying a different bust of Felix). Mine was gifted to me by the mayor of a major city after I did him a large favor. 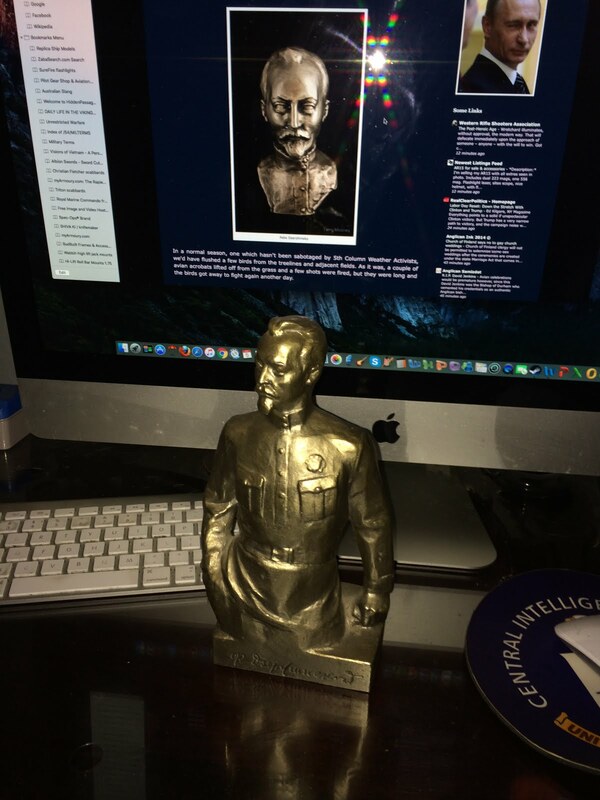 No, the bust is not gold. If it was gold, I would have melted it immediately and bought an Aston Martin DB9 - or maybe a small aircraft to tool around in. So much for Labor Day, and one-upmanship between LSP and me, so much for the last holiday of summer. We definitely can't beat the clock, can we? Tomorrow is another day, the world is not enough, etc.